Unfortunately, Google Chrome will no longer support games running on 3D plug-ins, such as the Unity WebPlayer, including AstroLords: Oort Cloud. Unfortunately, Opera will no longer support games running on 3D plug-ins, such as the Unity WebPlayer, including AstroLords: Oort Cloud. * If you already have downloaded the client, you do not need to download it again after each update. Enough to run old and it will update your version to the latest automatically. 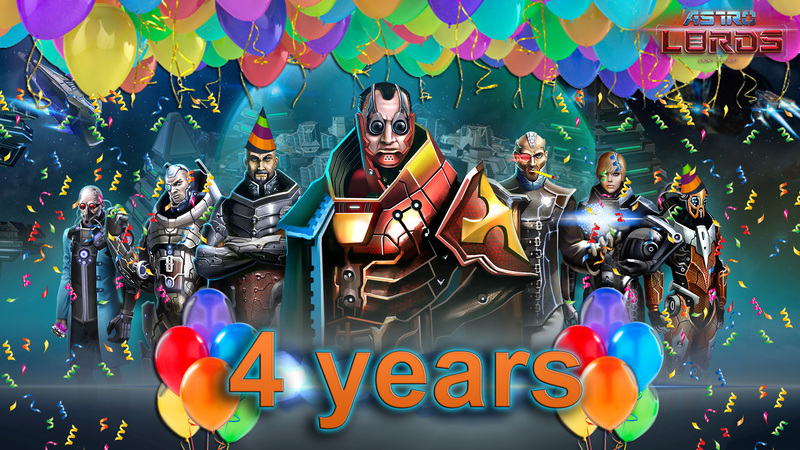 Four years ago, the first Lords felt the taste of victory and the bitterness of defeat; allied attacks helped to find out who is enemy or friend, tried out the bitter knife of betrayal and the support of faithful friends! The Cloud has ceased to be an alien patrimony, they learned - Lords are leaders here now! And they retreated, hiding in space, with vain attempts to revenge the defenders of the Earth Commonwealth. Keep it up! 2. Discount for the purchase artifacts in the store - 33%. Discount for the update of the store is 75%. Added +6 additional cells in each section of the store. 3. Double experience in battles in the Arena. 4. 50% discount for the dismissal of captains and skill dropping. 5. Discount for activation price of all sciences is 33%. 6. Discount for gobal premium services, except for premium ships -25%. 7. Discount for the purchase of premium ships -10%. 8. Discount for the purchase of premium asteroids, including secondary - 33%. 9. Special congratulations from your Advisers. 10. The speed of studying science, factories production and mining crystals + 100%! - 03.06 Gold Core Module bonus - basic ammunition aboard ship + 50%. © 2019 ARATOG LLC © TARTEZAL HOLDINGS LTD. Astro Lords is a registered trademark. All rights reserved.